Lunch Mixer with Mill City Grows! Name: Lunch Mixer with Mill City Grows! Please join us for an outdoor luncheon with Mill City Grows at their Pawtucketville Farm! Get out of the office on a crisp, fall afternoon for some networking and a delicious lunch catered by Two Chefs are Better Than One. 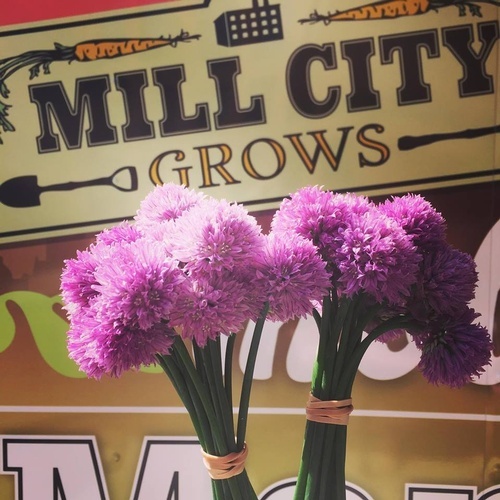 Bring your business card and be entered to win a gift certificate to their mobile market and a Mill City Grows tote bag! Stick around at the end of the event for an optional tour of their farm. We hope you can join us for this fun, fall afternoon! Registration for this event has now closed. Email Emma Brooks with any questions.